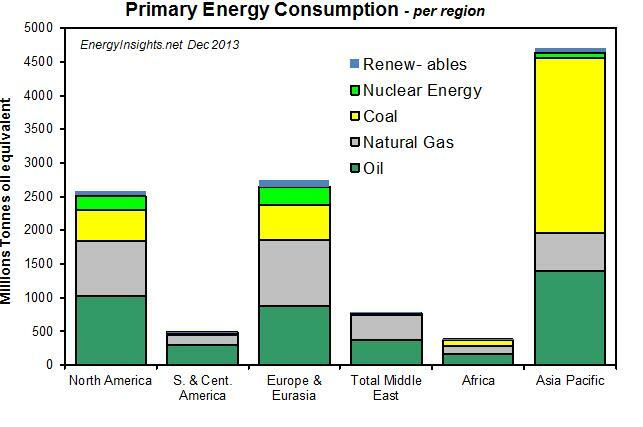 This short Special Report covers primary energy consumption through to end 2012 - from 1965. 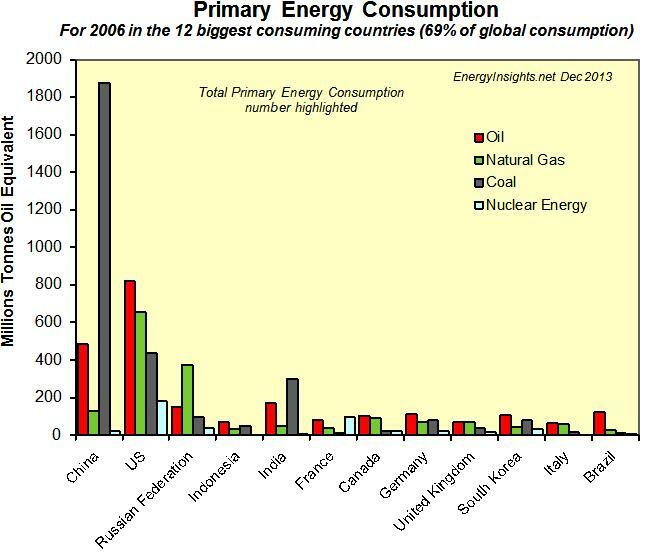 We hope these insights are helpful in understanding energy consumption. 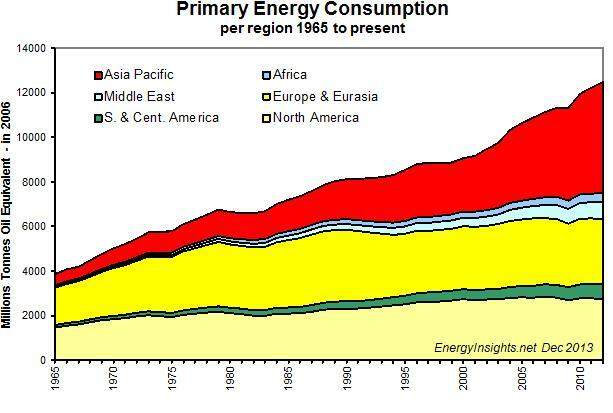 Primary energy consumption has rocketed from 4000 in 1965 to 12300 in 2012 and is set to continue to rise as developing countries energy usage increases. Usage is particularly expanding in Asia Pacific. 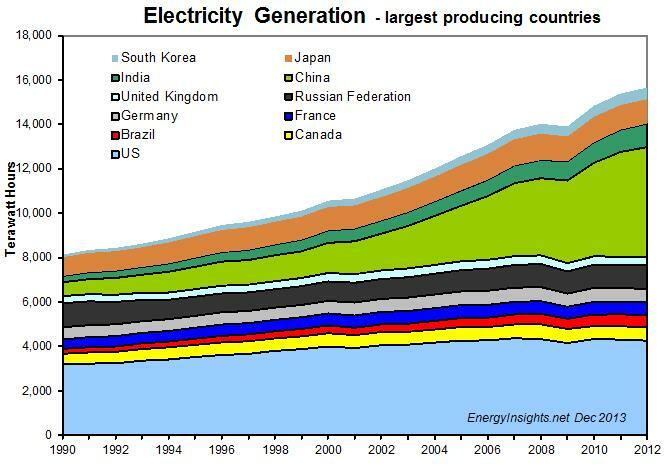 China and the USA are the largest primary energy users in the world. 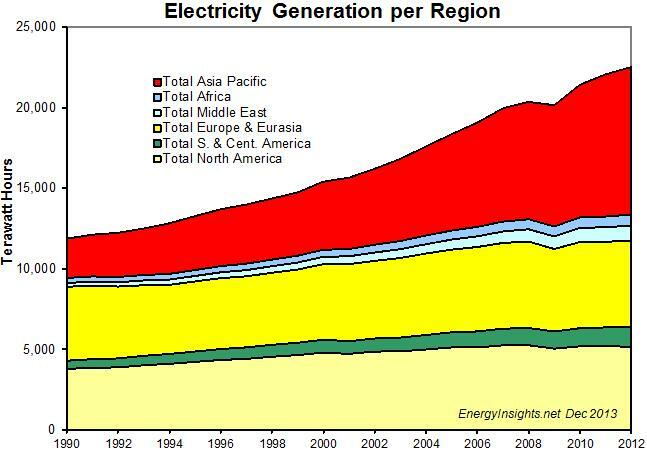 China's electricity usage has sky-rocketed from around 1999 onwards - mainly from coal burning power plants.